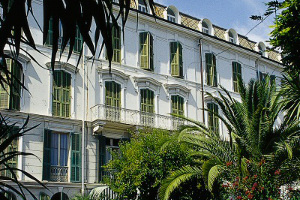 San Remo Hotels offer a selection of the best hotels in San Remo on the Ligurian Riviera that will ensure a wonderful stay during your holiday in the City of Flowers. With Sanremo Hotels it couldn’t be easier to book the hotel that’s right for you! Just go to the main menu to find the best hotel accommodation for couples, for families, for those who are travelling with pets, for businessmen, sports enthusiasts and cyclists, and for those who love to include the sea and/or a swimming pool in their holiday plans. All you have to do is navigate around the various categories shown on the menu, and, once you have found all the details of all the available hotels, make your booking. You can choose between relaxing hotels set in the beautiful parks and gardens where you can take long, leisurely walks, and elegant hotels that have amazing panoramic views over the Gulf of San Remo. We can also offer hotels in the town center, situated only a few minutes walk from all the main attractions of the City of Flowers, as well as hotels with private access to the beach, if you want top summer beach holiday experience. There are hotels that specialize in offering all the special facilities required by cyclists and mountain bikers, who can take advantage of excellent bicycle rental services and the proximity of the Cycle Path that goes along the Ligurian Riviera. You can book your hotel directly online with the form that appears on the left, but don’t hesitate to contact us if you need any additional information. For a relaxing holiday on the Riviera of Flowers in a lovely hotel with an idyllic setting, Sanremo Hotels offer a selection of beautiful hotels with immense charm that you can book directly online. Perfect for couples who want to enjoy a romantic trip or for those on their honeymoon. 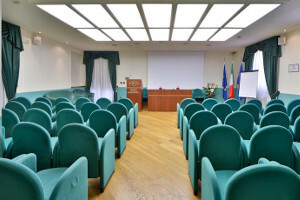 For businessmen who are attending conferences in San Remo, for M.I.C.E. packages and Promotional Trips, we offer business hotels complete with modern décor and facilities, conference rooms for organising business meetings, and excellent restaurants for business lunches and dinners. Families with children can enjoy an extremely pleasant stay in San Remo, thanks to the excellent range of hotels we have selected for families, that offer spacious, well-appointed rooms, the availability of extra beds and cots, as well as play areas where you can entertain your children during your holiday.